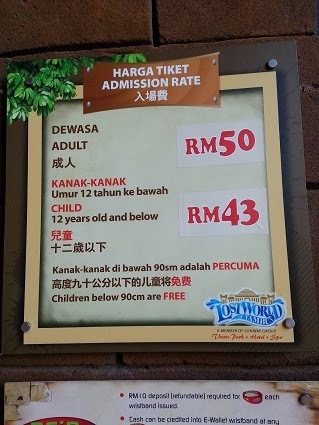 We haven't took a family holiday break in a while, and I had gotten tickets in the September 2013 Matta fair and they were expiring soon, so my hubby, daughter and me decided to make use of those tickets and finally went to Ipoh for our little break. 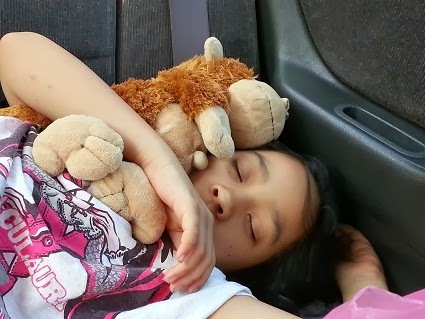 Little daughter having a nap, tired from the trip.. The trip from KL to Tambun took just slightly over 2 hours because we stopped at the R&R area for breakfast and refreshments. 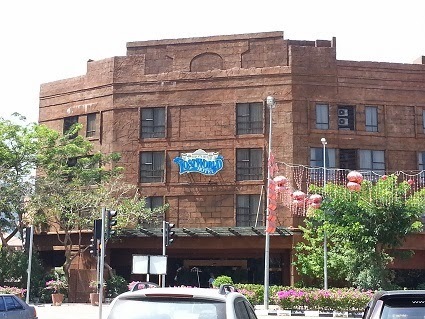 The Lost World Hotel, our 'home' for the night. 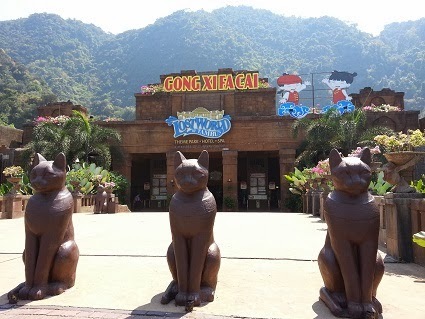 It was pretty cosy and nice, facing the Lost World of Tambun theme park. We just had to cross the road to get to the theme park. The entrance to the theme park..
Rates at the door/entrance. 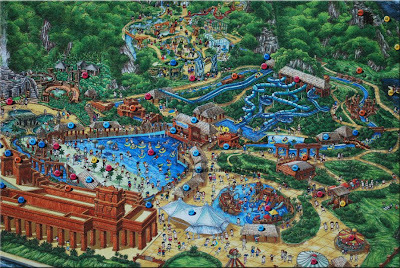 You can get it a 10% discount if you stay at the hotel or you can also buy the tickets cheaper from online as I did..
As you can see from the map, the place is pretty huge and there are a lot to do and a lot to see. You shouldn't miss the hot springs and the petting zoo. For more details, pictures and stories of my trip there, please do check out http://themalaysianladyexplorer.blogspot.com, my other blog on travel etc..